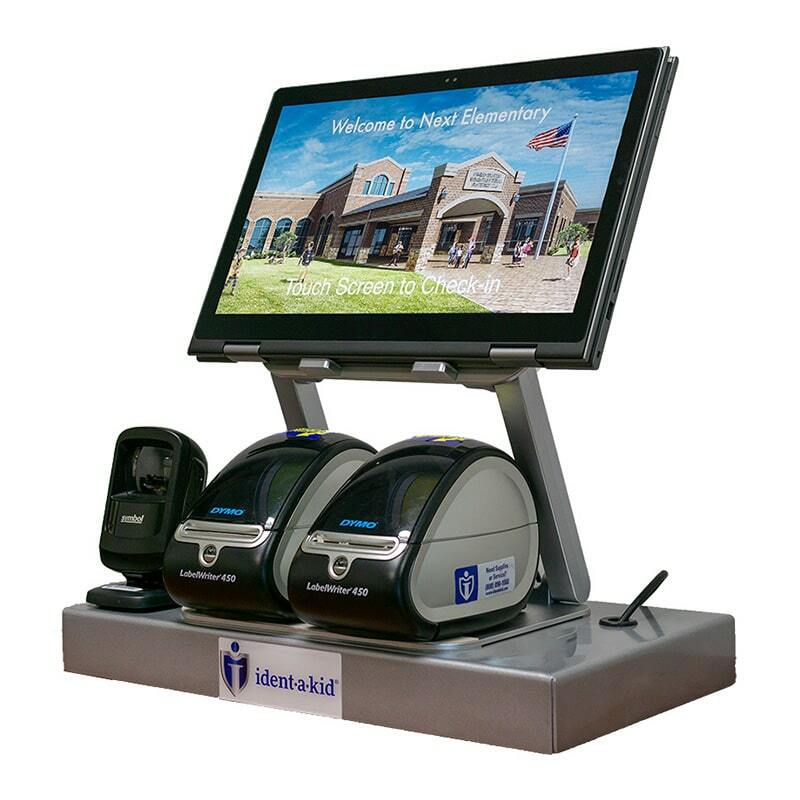 Ident-A-Kid *All-In-One Kiosk Package Perfect for easy setup, take down and moving if needed! This laptop has a wireless internet connection only. •Please allow up to 2 weeks for fulfillment of this product. *Software sold separately. 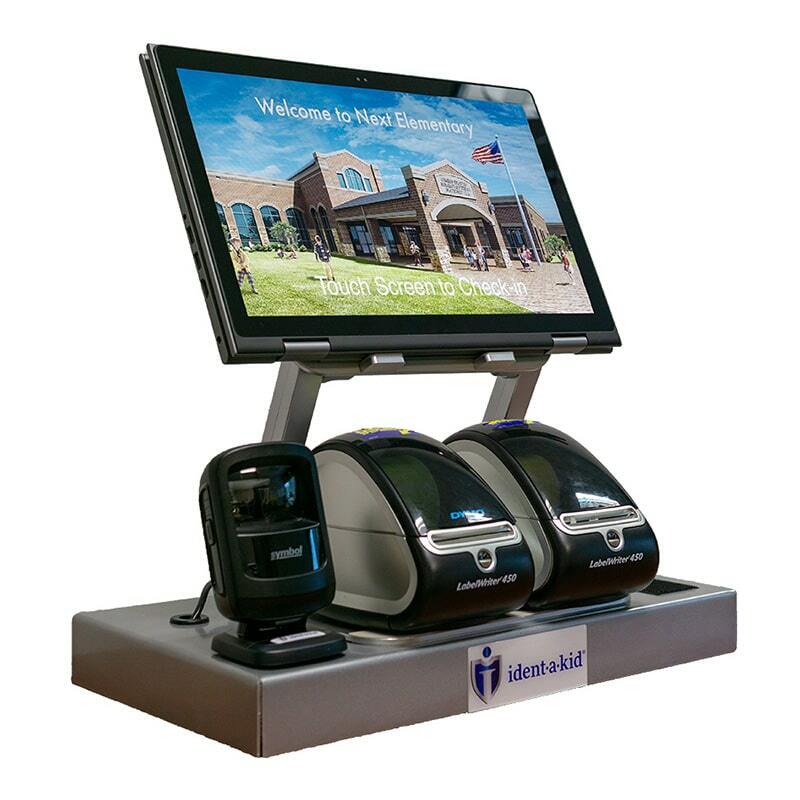 A one-time price of $1,775.00 will be added to your order. *A handling fee of $18.00 per package will be added to your shipping total at checkout. 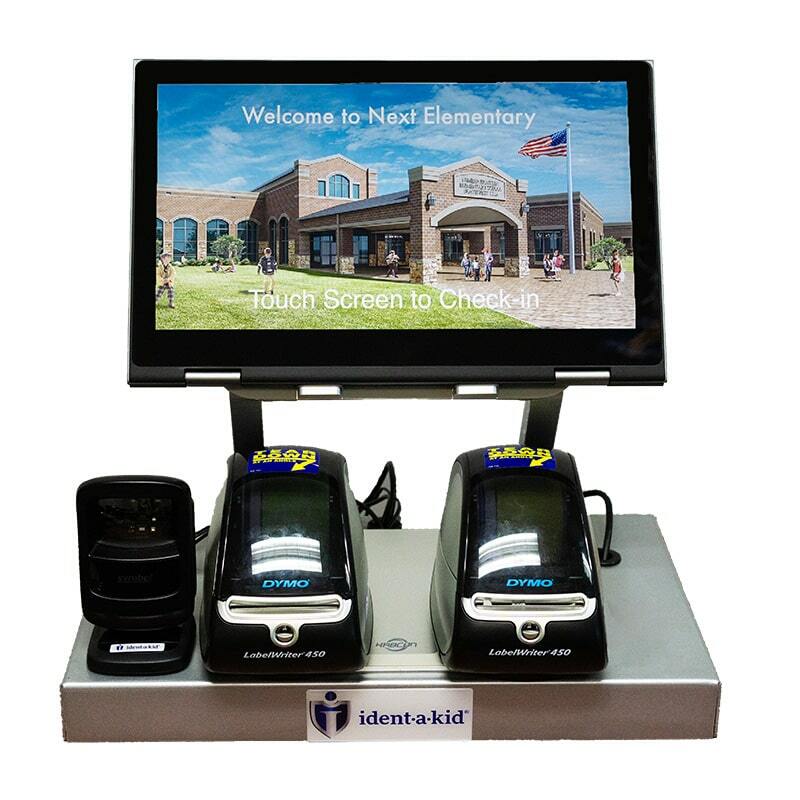 This package Includes a 2-in-1 Windows 10 Home Edition touchscreen laptop, a laptop stand with swivel features, cable box, 2 Dymo LabelWriter printers, 1 optical scanner for sexual offender checks, powered USB hub with 7 ports, 7 rolls of visitor badges and 3 rolls of tardy student passes. This laptop has a wireless internet connection only. *This laptop has a wireless internet connection only. Make the Sign-In process easier! This counter sign has thorough instructions for your visitors if you're utilizing a Driver's License Scanner.